Remember when I told you about how great sprouts are nutritionally? A seed can increase its nutritional content by 500-600% just with sprouting. Just a little water and 48-60 hours of patience, and you’ve got amazing, live, fresh nutrition! Well, the fermentation of foods is a very similar science. You can take a wonderfully nutritious food such as fruits, vegetables, grains, meats and whole dairy products and compound their nutritional value through fermentation AND do so in such a way that the body just gobbles up those nutrients. Obviously, if we can’t absorb the nutrients, then they don’t do our bodies much good. First of all, let’s become familiar with the term. “Fermenting” food is the broad brushed term that paints the world of pickling, culturing, and curing of foods. Bottom line, the act of fermenting a particular food enriches it with vital digestive enzymes which actually enable us to absorb key nutrients in our food and to digest them without using excessive energy. In fact, being able to absorb these nutrients is what gives us more energy. Believe it or not, we use most of our daily physical energy digesting what we consume. So, the easier we make the digestion process on our bodies, while absorbing vital nutrients, the better we will feel. It’s no surprise to learn that a lack of energy is the most prevalent complaint when it comes to people’s health. Additionally, I’ve found anything short of a famine on scientific research which shows that cultured dairy products lowers cholesterol and protects against bone loss. Hmmm…have you heard that same claim about milk? In truth, milk on its own can’t protect your bones and joints unless you get the additional enzymes and vitamins to activate such health benefits. (Don’t you just love it how the medical industry only gives us part of the story?) The threat of the bigger and badder “super bugs” coming our way can be mitigated by the consumption of fermented and cultured foods. Where immunization may not help, nutrition certainly will. So instead of spending a small fortune at your local GNC store, you can simply be a bit more indulgent in this valuable class of foods. The good news, is the world of fermented foods isn’t as far away from your present reality as you might think. 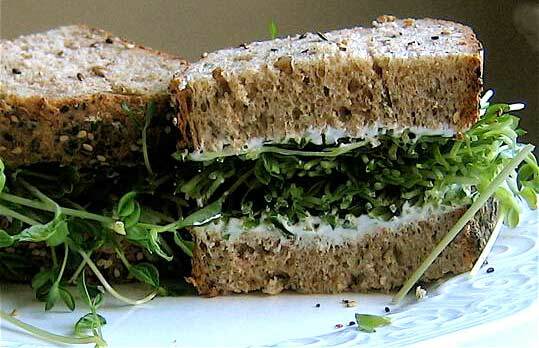 If you’ve ever enjoyed sourdough bread, then you’ve had fermented foods. (It’s a good thing that’s my husband’s favorite bread or I might not be too successful in incorporating more of these foods into our regular meals.) Pickles, cheese curds, sauerkraut, cream cheese, sour cream, cottage cheese, steak tar-tar, pickled beets, Korean kimchi, seafood gazpacho, kibbeh, yogurt, pickle relish, kefir, buttermilk, crème fraiche—these are all foods that most are readily familiar with and low and behold, they have the enzyme and vitamin benefits of “fermented foods. Some common items I see in cultured or fermented food recipes (especially dairy and grain dishes) is the addition of nutritional yeast. I’m familiar with nutritional yeast because I use it frequently when making “wheat meat.” It’s not like the yeast you use in bread. Rather it’s a very light and flaky yeast—reminds me of fish food. Another common addition to fermented or culture foods is homemade cultured whey which can easily be made from fresh raw milk or quality yogurt. If you’ve ever had kefir or any of those drinkable yogurts, you’ve tasted something similar to what the Scandinavian countries make from milk, which keeps for many months without refrigeration. In India, a soured milk known as dahi, is consumed with just about every meal. Europe still uses fermented milk products in the majority of their creamy and hearty recipes. (After all, all of the great French recipes I make call for crème fraiche, a cultured cream.) You’ll be hard pressed to find an authentic Japanese meal that doesn’t contain a pickled vegetable. Cultured butter is preserved through the fermentation process and has no need for salt. 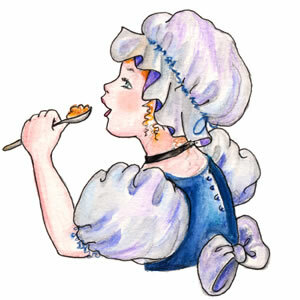 Have you every heard of Little Miss Muffit eating her curds and whey? Yup, she was getting her power nutrients until a spider interrupted her. The nerve! Traditional cheese makers value the whey for quality cheeses that would create a long shelf-life in their products. Now, with modern pasteurization and refrigeration, whey is considered a waste product. Which I find to be a bit interesting since the consumption of whey is incredibly favorable for a healthy body. But that’s another article. The other day I purchased some high quality yogurt. I brought in all of the groceries late at night so when I got home I didn’t even bother putting them all away, just those items which needed to be refrigerated. Well, in my haste to hit the mattress, I overlooked the yogurt-which I discovered the next evening. Being moderately familiar with the creation process of yogurt though, I didn’t panic or think that I had ruined perfectly good yogurt. I simply put it in the fridge and enjoyed it subsequently. This is because real yogurt (usually spelled as “yoghurt”) actually befriends the natural bacteria which causes milk products to sour and separate. This is known as a lacto-fermenting. The lactic-acid produced by the bacteria breaks down the lactose and the casein in the milk. Once enough lactic acid has been produced, it actually inactivates the harmful bacteria and then the milk is preserved from spoilage. If longer fermentation is encouraged, then cheese is made, which is why I’ve always said that hard cheeses will be just fine if they are waxed and allowed to continue to age, aka ferment, for years and years. Mind you, when making yogurt, a culture is added for taste and to manipulate the fermentation process and texture a bit. But it all uses the same science—good bacteria doing their job to create something shelf-stable and delicious. Fermenting vegetables usually only requires some salt or whey, some herbs and spices, and a little bit of elbow grease. When you pound the foods gently, briefly, you release the juices. The bad bacteria are hindered long enough for the lactic acids take over in the preservation of the food. A little room temperature, and a lack of light at some point in the process, you’ll be able to come up with a grundle of great dishes. Ok. So if you want to dig into the world of fermented foods, I suggest you start with two things. 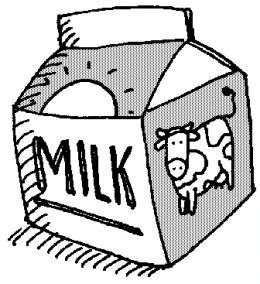 1) Quality fresh, raw milk—either from a cow or goat; preferably from pasture fed animals only. Just one bit of grain fed can completely pollute the milk. I finally bit the bullet a couple of weeks ago and went to the health food store, signed my life away for the privilege of buying raw milk, and haven’t looked back since. I have a good supply of powdered milk, but I’ll be using that for baking and such unless I need to rely on it otherwise. So far I’ve made my own yogurt, cottage cheese, and mozzarella cheese. The taste is AMAZING. There seems to be so much more depth to it than the products I usually purchase from the store. I have to say that I can envision this whole cultured-milk-product-phase taking over the food aspect of my life. I’m actually grateful that I’ve learned about it now so that I can make it an easy part of my life instead of a stressful one. OK. Number 2) A good, expert cookbook. Sally Fallon, who wrote “Nourishing Traditions” is one of my new heroes. Her book takes me through, step by step, into this great world and makes it exciting instead of intimidating. The recipes are simple, but she continues to share great information on this world of food in the side columns of every page. While I’ll continue to share aspects of this with all kinds of food I do want to make mention of one of the benefits in culturing milk products. There’s a lot of research out there that confirms that cultured milk products tend to be more easily assimilated to persons with lactose intolerance. The reason being is the enzymes which are plentiful in cultured milk. Remember, enzymes aren’t just nutrients, they are critical for digestion. It’s a problem in digesting milk that makes folks lactose intolerant. The lactose gets broken down by the enzymes by about 30-40%, thus making them benign to your digestive system. When broken down through the culturing process, the casein (protein) portion of the milk provides critical amino acids to our bodies. This is why the medical industry claims that we can digest the proteins in yogurt much easier than those in milk—culturing. 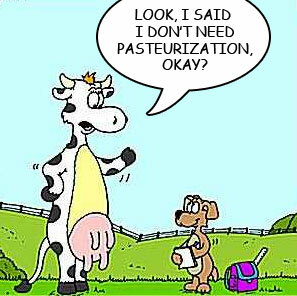 Just one important thing to remember—pasteurization and intense heat completely destroy all of the good enzymes that you’ll create in cultured dairy or fermented food products. What health food store do you get raw milk from! I want raw milk. I can't find anyone who provides milk straight from the cow. I'm in SLC and would gladly drive down to Orem if I could get raw milk. Thanks for this article. I've been researching this as well. 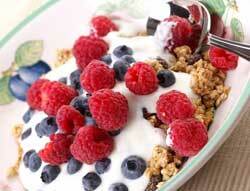 I'm diabetic and so avoid even whole grains to control blood sugar levels. I have heard that soaking wheat flour before using it in bread will help but I can't quite get the idea on how it would work in my head! I'm also very interested in trying to do my own yogurt and cheeses as I also have avoided milk because of the milk sugars! I look forward to more of you discoveries! Linda, at the very least you should be able to sprout whole grains. Then you will get the compounded nutrition without the sugars and bad carbs. Thank you so much for this article, I guess you figured out long ago that I keep searching,looking for nutritional helps....in an emergency situation this would be needed. I bought a big bucket of whey, have been using it with vegetables....I cannot find any raw milk in my area...(wheat farmers) but will keep looking...I was lucky enough to get it in past....but I loved it. I just ordered Sally Fallons book "Nourishing Traditions" hard to find! I am sure that you have read several books on this subject...( you are deffinatley not a one trick pony)...that was a compliment! smile... could you steer us towards some other info...that would be good....Keep it coming Kellene....ps switched to coconut oil and grape seed oil....Good call, gal. I can really appreciate this post. I just started food storage this year and in the process of trying to learn something on food storage I somehow stumbled across the concepts of Nourishing Traditions. I've been incorporating some of the concepts - so far I'm trying lacto-fermentation on pickles and learning to bake with a sourdough starter. In some ways I find the concepts of traditional food preparation compliment my quest to learn more about food preservation. At times though I feel a little at odds since there seems to be such a focus on fresh natural foods and here I am purchasing shelf stable foods in #10 cans! I really wanted to purchase raw milk but I'm having a hard time committing to the additional expense - I looked into a cow share program which brings it down to a more reasonable 5.77/gallon but that is still nearly double the price of what I pay now. As the price of foods continue to increase in the near future what will that 5.77 increase to? I joked with my husband that if we move to more land I want my own cow or goat...lol! I did grow up up on milk strait from the moo. Yes I will admit that pasteurization kills bad bugs. Actually it kills all bacteria harmful or not. If you look at longevity it down in the early 20th century was childbirth deaths, then non- vaccine disease such as polio and smallpox. Actually I think the food they used was pretty healthy. Why did folks use those food -preservation ideas? Cause the worked! I did not get into essential oils, but I went to the natural oils(sorry Kellene) via Alton Brown, Using real butter, Lard(sans trans fats) and olive oil. Olive oil a great multi-tasker. Has the FDA ever warned us of a bad food product? I have always heard or read about it first on the Internet and dead people. Then about a week or 2 later the FDA will issue a warning. Now I would never denigrate those great union workers at the FDA,USDA and others but, at light speed or at least at the speed of the internet we save our selves. We just don't buy suspect products. Damn we care more about our pets than the government does our kids or ourselves.Funny how that works out. I just got some raw milk (Yeah!) from Real Foods in Orem. Got my yogurt maker out, and will be making some of my very favorite food...Home made yogurt with a tiny bit of brown sugar! Yummy! Thanks Kellene. Thank you so much for your article. Such a wealth of great information. I have been a raw milk drinker for awhile now and enjoy it immensely. I'm actually switching to a Guernsey milk farm this Saturday. However in light of your "grain fed can completely pollute the milk" comment, I remembered that the farm owner informed me of what they feed the cows: "balanced diet of organic hay, grass/pasture, minerals/sea kelp and a little corn at milking time." It is the corn at milking time that concerned me. Do you think it will ruin the milk? I personally would still buy that milk, TJ, especially with the mineral and sea kelp in their diets along with the grass. May I comment? If you can look past his personal beliefs mentioned in the book, Wild Fermentation by Sandor Ellix Katz seems to be a practical book dealing with fermentation in a real life setting. I'm a little lost about the grain ruining the milk products. I used to raise and milk a herd of dairy goats for years. They were field and woodland fed and at milking time, it was necessary to give them one coffee can of grain (oats, cracked corn and molassas) to help them not just stand still while you milked them (or else they jumped around and stuck their foot in the bucket), but to aide them in producing more milk - fields alone won't do it). I had a cream separater and made cream, skim milk and from the skim milk, made cottage cheese, and hard cheese (I had a press), butter milk, butter, and ice cream. Never ruined any milk from it. So I was just wondering how the grain ruins the milk as I am keenly interested in what exactly it does to it. Thank you. I have found some great recipes tons of stuff. From home smoked hams and bacon. to my own pastrami and corned beef. Of course all you libs will tell me how bad I'm being and I'm not safe. Funny I spent 7 years in food service and learned the safe preparation of food. Aren't you the guys the push Hi-fructose corn syrup. And Margarine was safe and canola oil was wonderful? Did I miss a memo? Kellene, I am so happy that you got a chance to read about Dr.Weston Price, and that you have written such a fantastic introduction to fermentation and raw milk here. It is SO important to our health, and and the lack of this knowledge clearly shows in the horrible disease statistics out there. There is a virtual epidemic of heart disease, diabetes, and auto-immune disorders going on, although many people seem to think this is just a "new normal." This runs so counter to the goal of self-reliance. So much of the older food-preservation knowledge has been lost or forgotten, and it is up to folks like you to keep it alive and pass it on. So thank you! The whole subject of fermentation dovetails beautifully with the goal of preparedness and long term food preservation, as well as using less energy, less chemicals, and promoting health. The more I have learned about this subject, the less I trust what our ridiculous Food and Drug Administration has to say. They seem to want to keep us reliant - upon their pronouncements, and upon the huge companies who 1. )profit from all that dead food in the center aisles of the grocery store and 2.) manufacture the drugs to "treat" all us guinea pigs for the sickness resulting. And make no mistake about it - they are multi-billion dollar businesses. I noticed the part where you said that cheese makers consider whey a waste product. This may be so but not all cheese producers waste it. My husband works for Southwest Cheese plant in Clovis, NM which is the largest cheese plant in the US and supplies roughly 11% of all the cheese in the US. The plant only wastes around 5-10% of everything they make. They even have their own water purification system where they purify the water and put it on surrounding fields for farming. The whey is not wasted but sold to baby formula plants such as enfamil to go in baby formula. Like you said, it is very beneficial for the body and helps in babies grow. Just fyi. This was a really interesting post. I was having a real problem with bread - bloating, and heartburn, but not with unyeasted wheat products. I also had effects from eating sweets, and had some patches of fungal infection on my skin. I finally figured out that I was having a problem with yeast in my gut. I began taking probiotics on a daily basis, and noticed an immediate improvement, especially as the fungal infection on my skin disappeared. You recommend brewer's yeast. Would it bring back the symptoms I was experiencing? The whey powder that they sell as an extra protein source, is it also a fermented product? I would appreciate any advice you could give me on this. Thanks. This is perhaps a stupid question, but, yeast does not have that long a shelf-life outside of the freezer right? What if we have no electric, what would we use in the place of yeast? I have seen recipes where you can make a starter using water and flour but I didn't know if that would really work. Thoughts? Yeast will last about 5 years outside of the freezer if stored in a cool, dry, dark place. Otherwise we'd have to allow our bread dough to sit out for quite a while as it collects the natural yeast in the air or make yeast-free breads or use baking powder, etc. I'll have to do some research on other options. I haven't up to now because I was comfortable with the 5 year shelf-life of my yeast. But I think it's a good question. Thank you Kellene. You are awesome!! I have been thinking about that question for a while and trying to find some answers on my own without a lot of success. 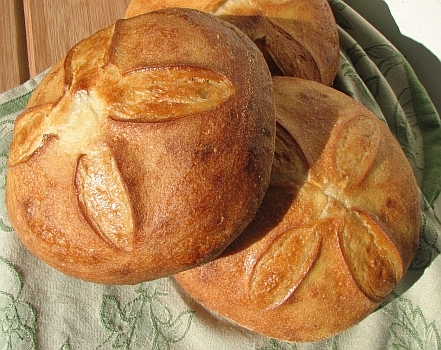 I had no idea that bread dough can collect natural yeast from the air! I Live in NZ. Our cows are all grass fed - year round with some hay, silage and beet top grazing in the winter - they don't need grain!!! There has been the suggestion that we should have some feedlots here and the idea has met with a lot of opposition. Our milk was originally pasturized to kill the TB bacillus as it was prevalent.